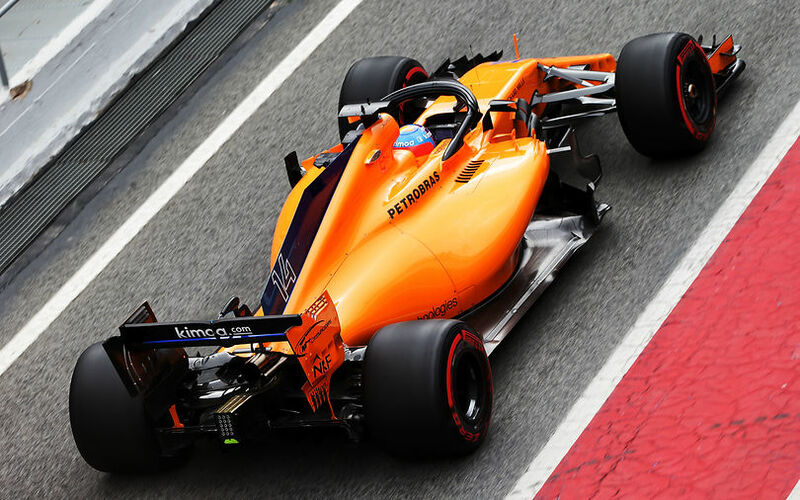 On the back of a difficult three-year partnership with Honda, McLaren Racing's new MCL33 is powered by Renault engines. The late decision however caused the design team some headaches, admits McLaren's Tim Goss. Technically, the McLaren MCL33 is a logical development of last year’s car. It has been adapted on the back of lessons learned and to comply with the (minor) regulation changes. “We’re definitely continuing along the same trajectory,” continues Goss. “For launch, the car will look evolutionary, and we will continue enhancing the MCL33 through testing and the race season. In terms of development, the design team has focused on refining the package; making it neater, simpler and more elegant." “That’s always been an area of focus for us,” says Goss. “But, this year, we went beyond to get a neat and tidy packaging solution. And that just gives the aerodynamicists more scope to play with the bodywork." At the launch, the team also revealed that it had been McLaren's target to only introduce its major aerodynamic updates at the first race of the season, rather than introducing step changes during testing. This is supposed to give the aerodynamicists more time, hoping to eventually end up with a more efficient package. Under the hood of its aerodynamic body, the team's aim for a compact package was made complicated with the switch of power units, with Renault's featuring a significantly different philosophy than the 2017 Honda package. “That change has been a big deal,” says Goss. “Even though the regulations state that the front and rear engine mounts need to be the same for every manufacturer, the layout of the engine, its architecture, is very different from before. “There are two families of engine out there; the Mercedes and Honda concept, with the compressor at the front of the engine, turbine at the back, MGU-H sat in the vee; and the Ferrari and Renault approach, where the turbo-charger is at the back of the engine, and the MGU-H sits forwards into the vee. “Each of those approaches has its pros and cons, but I’m actually quite a big fan of the Renault approach. Making the switch had a big impact on the installation of the engine. The advantage of the Renault layout means that we can push the engine forwards, but then you have the compressor at the back of the engine, so you’ve got to get the outlet pipes forward without impacting the packaging. “We had to redesign the back of the chassis, the gearbox bell-housing area, the rear suspension, and the cooling layout. That was two weeks of intense effort to get right. But it was something we were somewhat prepared for, because we knew it might happen, and it’s amazing what people can do in such a short space of time when the chips are down and you’ve got a really clear mission.